After registering with the tax authorities in Portugal, Madonna is reportedly taking the necessary steps to make the country her home. 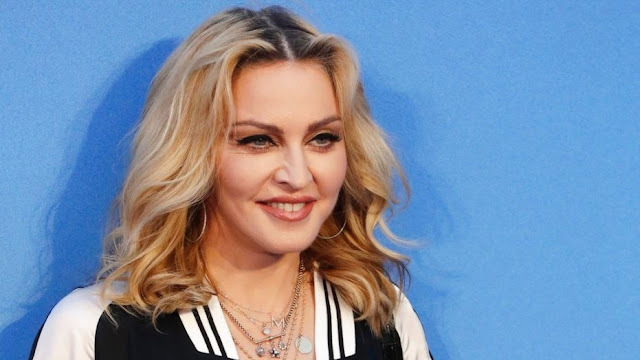 This year the 59-year-old singer visited the country and shared pictures of her trip to Portugal via Instagram. According to a Portuguese magazine, the Like a Virgin musician is staying in Lisbon at the Pestana Palace Hotel while the property she has purchased in Sinatra is being renovated. The Portuguese magazine further reported that the singer has also obtained a tax identification number in the country, which will enable her conduct her business in Portugal and pay taxes as well. In addition, as she has registered with the country’s authorities, she will be able to send her son David to school in the country. It was previously reported that her 11-year-old son had passed trials at Benfica, the famed Portuguese soccer club, earlier this year and is now enrolled in their youth academy. This information was revealed by a source inside Benfica and they also said that until David starts school at the exclusive French Lycee School in Lisbon, he will be staying the club’s academy complex. Previously, Madonna had posted pictures on Instagram of herself and David in which both of them were wearing replica Benfica soccer shirts. In May of this year, she had also posted a picture of her son with another child and they were wearing the full Benfica kit. The caption of the picture said ‘Where Life Begins’, which could hint at her intention of moving to Portugal. Four children have been adopted from Malawi by Madonna and David is the first of the four. She adopted him in 2006 and Mercy in 2009. She also became mother of twin girls in February. Other than that, she has two biological children, one son Rocco who is 17-year-old and 20-year-old Lourdes. MigrateMusicNews.com is a Music Blog that published news and intersting articles in the music niche; about artists, new releases, events, etc. Is Vintage Gibson Guitar Worth Buying?